As expected, the response was silence, and truth be told, I could not have answered the question before I studied in preparation for worship. A longer answer is this: Zarephath was a town to which the prophet Elijah traveled after receiving a word from God. It was located in the home region of Queen Jezebel where worship of Baal was prevalent, outside of Elijah’s home area in Israel. Zarephath was an area under control of powerful people to which the prophet was directed to travel. An even longer answer is this: Zarephath was an area in which God surprisingly chose to act through people with no credentials and no authority. In Zarephath, Elijah went to a widow, asking her to provide him with water and food. As a widow, she was a vulnerable person on the fringes of society. 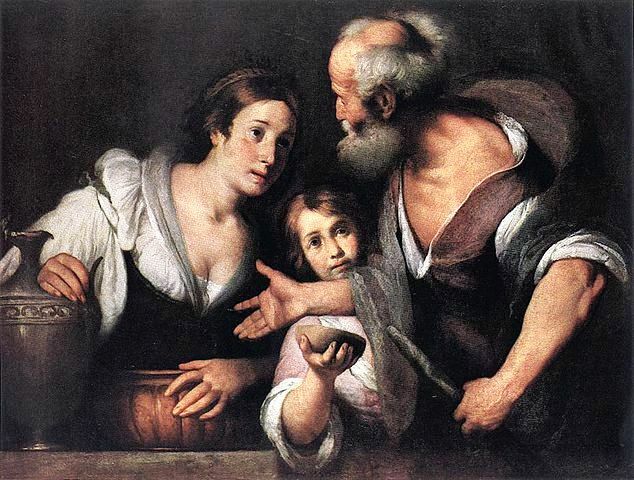 She and her son were down to their last bits of food, and she feared that she would run out of meal and oil when the prophet asked her to feed him. Elijah’s reply – “Do not be afraid” – may have spoken as much to him as to the widow because he was far away from his home, venturing into an area where people worshipped a different god, trusting his well-being to a poor person with meager resources. And, thankfully, the resources were sufficient to provide for the widow, her son, and Elijah. After sharing what little she had with Elijah, the widow’s meal and oil never ran out. There was enough! So, where is Zarephath? It is a place that seems unfamiliar, foreign, and fear-inducing. Where might that be for you? Like Elijah and the widow, would you be willing to move into that unfamiliar place and trust that God’s provision will be sufficient for you? This entry was posted in Uncategorized on June 11, 2013 by Dean Allen.